No doubt about it: If your business needs to capitalize on the growing number of internet users, you need to market online. Whether you’re targeting a national or local New Hampshire or Massachusetts audience, the web is as powerful a resource you’ll find for brand-building and boosting sales. 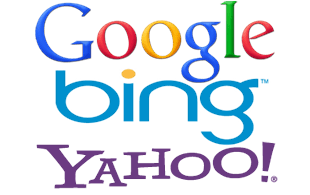 When you consider that most websites acquire over 75% of traffic from search engines, it’s not too far-fetched to say that a solid Google, Yahoo and Bing ranking is a must to maximize exposure for your business. What would it mean for your business to connect to a large audience of people who are actively searching for the products or services that your company offers? Nothing drives more traffic to web sites than search engines do and top placement for high traffic search terms can create substantial gains. Marketing your site through search engines involves both edits to on-site attributes and building citations to your site from other quality web portals. Scribble Creative Group understands the importance of protecting your domain and ethically establishing your business for top ranking. Your business may already be using social media with profiles built on the top social sites but as with most companies, your social media marketing probably has not proven to be a valuable asset for lead generation or boosting sales. Even though search engines drive the largest amount of visitors to websites, social media is quickly growing as a valid source for generating a substantial increase in web traffic. At Scribble Creative Group we understand which social media portals have the highest impact, in when and how to post on each social site and more importantly how to get users to click away from social media and visit your site. The key to any marketing campaign is getting your message in front of as many industry-specific targeted leads as possible. Spreading your content across the web and putting it in front of thousands of viewers involves social media marketing techniques, blog posting, press release generation and placement within industry web-publications. Syndicating your content across a large audience multiplies the marketing power of your product or service offerings. Content syndication not only puts your company in front of a large audience but it also helps to increase your search engine ranking. As any New Hampshire business knows, a marketing campaign is not about an increase in Facebook likes, Twitter re-tweets, or even a high ranking in Google. At the end of the day, the measurement for success is an increase in sales and web site conversions. No other measurement is as relevant to the success of a business and a marketing campaign as an increase in revenue is. Creating conversions begins with generating quality traffic to your website. Not all traffic is equal and a large number of site visitors don't always equal sales or leads. Understanding how to generate quality web visitors, who are ready to ‘BUY’ or hire you for your service, is how Scribble Creative Group has maintained a high level of success for all our clients. Contact us today to start using your web site to increase sales and generate quality leads to grow your business.